Gehan Homes – Search Engine Optimization and Multichannel Lift | ASTRALCOM - Content Strategy, Conversion Marketing and Customer Acquisition. Gehan Homes – Search Engine Optimization and Multichannel Lift | ASTRALCOM – Content Strategy, Conversion Marketing and Customer Acquisition. 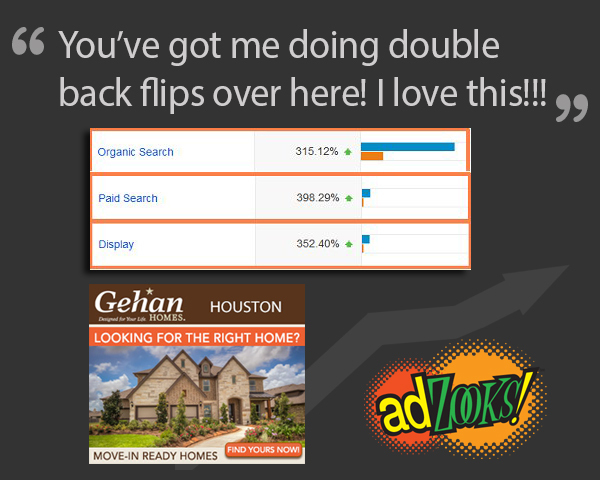 If increasing targeted traffic, advancing PageRank and search engine rank placement (SERP) are what you’re after, see what Gehan Homes had to say about our traffic generation and search engine optimization services and read our blog post here. Learn more about our search marketing and targeted traffic generation services and contact us today for a friendly chat.